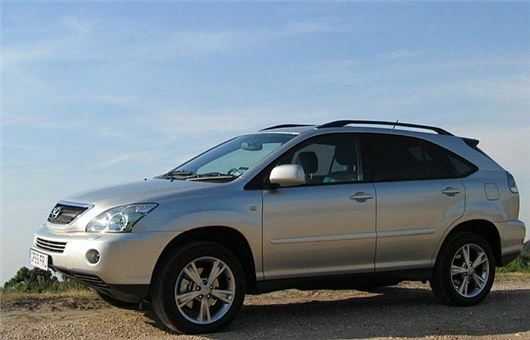 My 10-year old Lexus RX400H, which I have owned from new and which I am extremely pleased with, has now done 68,900 trouble-free miles and is due for its annual service. What specifically do you recommend should be done other than the usual oil change filter brakes, etc. I have owned and driven a variety of vehicles over the years from Midgets and TR4A IRS in my young days; Scimitars BMWs, etc later on, but the Lexus is the best so far. We drive a 2015 VW High Up bought new and now with only 9,000 miles on the clock. It has been serviced from new by the dealership. Occasionally it is very difficult to engage first gear and it also grates when selecting reverse. Any suggestions as to why this is happening? I purchased a new Mercedes C220CDI AMG Line Premium plus model in October 2017. My configuration was not available until March 2018. However, the dealer had located a model in stock with my requirements + intelligent lighting, so I opted to take the car offered. After 2 days, the Command system failed, the boot sensor opening works intermittently, and at speed there is a sensation of ‘feeling the road’ through the accelerator. Additionally, there is an intermittent ‘pause’ in accelerating away from a junction after stopping, and other niggly issues, including very rusty brake discs. I have discovered the car was built in January 2017, and had been ‘in stock’ since. The car has been back to the dealer once and is scheduled for a further return. Given the car has a number of niggling issues, do I have any recourse on the dealer to request a refund or exchange if the problems persist unrectified? We recently replaced our old, trusty VW Golf for the new model. We are very impressed with the car but wish it had not grown in size - putting it in our garage is a real problem. Parking in Stamford is at a premium. We bought our garage some 17 years ago for about £12,000. Garages in the same block now sell for in excess of £30,000. They are going up in price more than houses. I know of property investors who have invested in garages rather than in houses or offices. Not a bad gig. You don’t need too much to start. One bloke, who has thousands of them, sells a few from time to time to finance another classic car for his collection. I have to pay £66 a month for mine + £200 a month for my secure storage. Should have bought them. I have a 2016 Renault Megane GT Line 2016 and I live in North West Scotland. I am considering getting winter tyres. However, I wonder whether it would be better to get Michelin Cross Climate instead. I would appreciate your view. Happily, Michelin does Cross Climates in 225/45 R17 94 W XL, which is the standard size for a Megane GT Line. They are more compliant, so improve ride comfort and steering feel as well as running quieter and that is in addition to their benefits in snow, slush and mud. They help in ice because the sipes collect surface snow that then grips the snow on top of the ice. 10,000 miles on them told me they last as long as summer tyres, with no penalty in fuel economy. I recently found that the rear parking camera on my April 2016 Honda HR-V was hanging loose. My local Honda garage said it was not covered under the 5-year warranty as the camera is in a fixed plastic casing, which apparently had been broken. They suggested that this could have happened in a car wash. They also said that this was the first time they had this fault in an HR-V. I wonder if you could throw some light on this? Am I the only person to have had this problem, or is it a design fault by Honda as surely many people use a hand carwash. The quote for a new camera is £980 all-in. In the meantime, I have opted for a repair to re-secure the camera as best as possible, which cost £54 inc VAT. Never heard of this before and I ran an HR-V for a year. I suspect it might have been bashed by someone using an early form of acoustic parking that left very little trace apart from the cracked casing. We are in our 70s and need to replace our 9-year old Golf. Things have moved on so much and we are not very car savvy. We do less than 5,000 miles a year and would like something second-hand and under £8,000. Any suggestions? Do you think an automatic would be a good idea? For simplicity, a Dacia Sandero, and you can even get one in a decent spec with the 90TCe engine for £8,000: /carbycar/dacia/sandero-2013/ (A spare wheel is an extra £100.) If you are used to driving manuals, best not to switch late in life to an automatic. ‘Forgetting’ your left foot causes far too many death crashes. Does my 2010 Peugeot 308 1600 diesel Sport have a cambelt or chain? Timing belt. Change belt, tensioner, waterpump and alternator belt. I thought I would let you know, when I collect my DT, firstly I get rid of all the free inserts. Then I sort through until I get to the section with your column. After digesting the articles. I then consider reading the rest over the remainder of the day. The reason I am contacting you is that we are contemplating buying our 17-year old grand daughter her first car. We visited large sites of used cars to have a look and listen to the salesmen’s ideas and advice. We seem to settling around a three-year old car with 30k miles for five thousand pounds plus. Searching the Internet, it would appear that the Citroen C1, Peugeot 108 and the Toyota Aygo were a joint venture. If this so, which of these three have the best record? They actually follow each other down the same production line at Kolin, Czech Republic. The only real difference is that a 3-year old Aygo will have balance of manufacturer's 5-year warranty, whereas the C1 and 108 only had 3 years to start with. Worth also considering a Hyundai i10 (5 year warranty) and KIA Picanto (7 year warranty). What are the pitfalls of taking out lease purchase as against PCP if the intention is to part-exchange the car at the end of the agreement? The percentage rate on a lease purchase deal seems to be generally lower and the lenders seem more flexible on the end mileage. Is it that you have less equity in the end? Everything depends on what you actually pay. Discounts vary. Deposit contributions vary. APR rates vary. Final payments vary. The only way to truly compare is to work out the total amount you will actually pay = deposit + monthly payments + final payment. Even then, you still cannot predict with absolute certainty whether the car will be worth less, more or the same as the final payment. Just do your sums quietly at home and don't get bamboozled by APRs. Do not take out a PCP if you are getting on in years because PS found it can leave a dilemma for your executors if you die. Ford Credit gave two options: Option 1: If the executor wishes to keep the car, a full payment will be necessary. If this would be the case, we would provide the relevant settlement quote when contacted by the executor. Unfortunately, at the present moment we cannot offer for the executor to keep paying monthly instalments. Option 2: If the executor does not wish to keep the car, they can advise us of this decision and we will arrange for the vehicle to be collected. At this point, no more payments would be necessary. I have a 2006/56 Nissan X-Trail that has provided trouble-free motoring, but now needs to be retired, as do I next year. What would you advise for me; needs to be small and reliable to cover about 9,000 miles a year, with 2 days a week 20 minute commute to work. There is only me and a couple of dogs and it needs to have a little bit of ground clearance to deal with country roads and the odd track. I have been very happy with my Ford Fiesta Hatchback 1.25 Zetec that I bought new in 2009. I would now like to change it for an automatic and wonder whether you would recommend the automatic version of the Fiesta, or what other car of similar size you would recommend. I do about 3,000 miles a year. If buying new you are okay because for the new Fiesta Ford has switched from the Powershift DCT that suffered a lot of clutch pack problems to a 6-speed torque converter auto. Other small cars with 6-speed torque converter autos are Suzuki Swift 1.0T, Suzuki Baleno 1.0T and Mazda 2. Reliable alternatives with 4-speed torque converter autos are Hyundai i10 and KIA Picanto. In July 2014 bought a 2012 VW Tiguan from my local dealer. Although slightly older than I usually buy, it had less than 10k miles so I thought it was a good purchase. For 2 years it was, but in October 2016 I received notification from VW that my Tiguan was one of those requiring a software update due to VAG’s emissions cheat. On 28 Nov 2016 the update was carried out and from that point on a year of misery began. The first problem occurred on 3 December 2016 and thereafter repeated at regular 3-month intervals until the last incidence on 12 December 2017. Each incidence was characterised by lumpy running, to the point of almost cutting out, then the engine management warning light coming on and, when the fault was investigated, it was discovered that various components were severely sooted up. Each time my dealer has repaired it on a goodwill basis, albeit sometimes only after I have indicated my dissatisfaction. But each instance has left me without my car for a few days whilst the work was carried out, the last costing me £160 for a hire car as no courtesy car was available and I need a car to get to work. I have now initiated a formal complaint with VW UK indicating that their work has left me with a vehicle which is no longer of sufficient quality or fit for purpose and requesting either a replacement Tiguan, which has not been subject to the software change, or for them to buy my car back at favourable terms to enable me to purchase an equivalent car. I would stress that the car has still done less than 50k miles. VW’s initial response was the expected bland assurances that the software upgrade was fully tested and did not cause any issues but no other explanation for what is more than a coincidence. Have you had any other readers register issues with you ref problems with vehicles after the VW upgrade or able to advise where stats for the number of issues could be found? It's not clear from this that your VW dealer has kept you fully appraised of the situation. VAG now guarantees to address any issues consequential of the NOx emissions fix for up to 2 years after the fix and up to a total of 160,000 miles. Reducing the NOx means increasing the soot output of the engine, which is what clogs up the EGR, etc. To counter this effect, the fuel injection is programmed to undergo an additional cycle for each cylinder stroke (50% more work). If the injectors are not up to this, that is where the problem lies and it should be possible to fix your engine permanently by installing a new set of injectors. If your dealer isn't helping, get onto Volkswagen Customer Care. Yes. You reject the car jointly both to whoever is financing the PCP (probably Mercedes Benz Finance) and to the dealer. My interpretation of the law is here: /faq/consumer-rights/ Being on finance actually puts you in a better position than having paid cash for the car. If the dealer cuts up rough, seek professional legal help because you will want to avoid the colossal expense of a full County Court hearing (this is not a £10,000 Small Claim). At about 5.30pm today, I accidentally drove into the car in front of me at a roundabout. This was only a minor prang, that seemed to result in no damage to either car, although it was difficult to tell for sure as it was dark. After exchanging details with each other, the other driver said he was going to take his car to a garage, to get it checked over internally, as a precaution case anything was missed. Although I realise it was my fault, the shunt was only minor, and did not cause any obvious damage to the bodywork as far as could be seen, my concern is that some internal damage may be “found” by the garage. Peoplelike SD of Southampton make me laugh. They have a vehicle for 2 years and when a fault develops consider they should get 'favourable terms' in having it purchased by a dealer. Er, you've had perfectly good use of the car for 2 years by your own admission. What makes you think this should be ignored and you given favourable buy back terms? Yes but his point is that VW cocked everything up with their emissions fix. I don’t blame him for being upset, I certainly would be annoyed. They lied and cheated. Their products seem to be the subject of more problems than any other manufacturer but people keep buying them. People, get your brains out of first gear.